​New for 2018 a Tokyo style Nakiri from Tojiro - slightly smaller than many Nakiri knives, extremelylight weight and in a very traditional Kurouchi style. Great value for such a versatile knife. 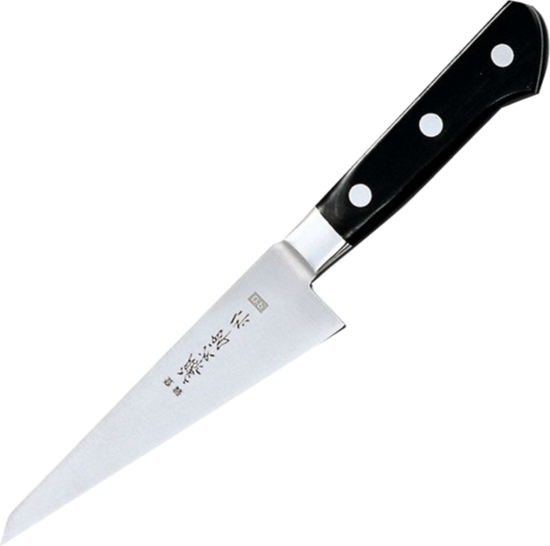 A 'Full Tang' Chef's knife from Tojiro featuring a VG10 core and a 13 chrome Stainless steel shell. 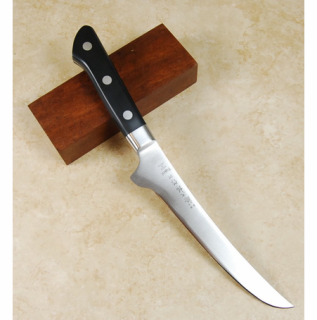 A very sturdy (195g), multi use knife essential for any home or professional kitchen. 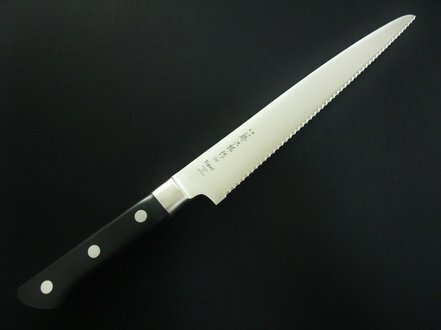 This knife is a very durable 'work horse' being made of Stainless Steel and will will take a lot of stick! The award winning Tojiro DP series features a full-tang and 3-ply clad construction with a core of VG-10 super steel encased by two layers of highly rigid and rust resistant stainless steel. This formula of steel results in a 60 Rockwell Hardness, and provides a 9 to 12 degree blade angle for scalpel-like sharpness. The triple riveted traditional style Micarta handle with bolster contains heft and balance and the closed bolster collar allows for full and complete sharpening of the blade. Every knife is meticulously hand finished by a artisan craftsmen. 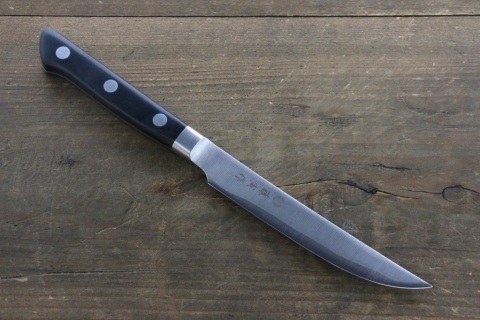 The Tojiro Shippu is a pretty unique Japanese knife combining traditional design with Western know how. The elegant light weight blade incorporates an innovative chemical oxide process - highlighting the natural ripple of the Damascus to stunning effect. With a VG10 core, Oak Wood handle with Buffalo Horn Collar, this knife is sure to stand the test of time.